The most basic requirements for anyone who is appearing for the RBI Junior Engineer recruitment is that of understanding what exactly the exam entails and keeping track of all relevant details pertaining to the RBI JE 2019 exam. 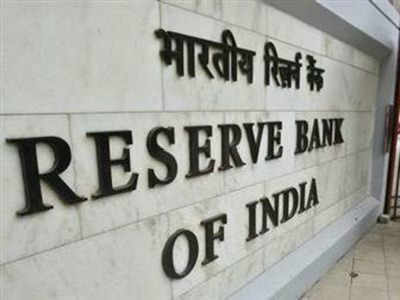 The RBI or the Reserve Bank of India is India’s apex bank that has a lot of extremely important functions. Not only is it that banker of the government, but also handles issuance of currency, foreign exchange reserves and also performs a plethora of other supervisory and administrative functions. Details pertaining to the exam shall be made available at https://www.rbi.org.in/ . Various details pertaining to the RBI junior engineer recruitment 2019 can be accessed here. Undoubtedly, for anyone who wishes to take the exam, the most important details are factors such as the examination fee, details, important dates, selection process and other important information. A candidate must be fully aware of such details in order to do well in the examination and is therefore suggested to read further. The RBI JE or Junior Engineer examination is extremely prestigious. To be able to work with the Reserve Bank of India not only provides significant job security and a good chance for career growth, but also ensures stable income and provides ample opportunities for growth. To ensure that the exam is taken with full preparedness and without any nervousness or lack of information, read on to know details about the exam. For those students seeking to be kept updated or who wish to remain in the loop about details on details pertaining to the RBI Junior Engineer Recruitment 2019, they are suggested to constantly visit this page to stay in touch. As soon as an update is provided by the board, details pertaining to the RBI Junior Engineer Recruitment 2019 shall be updated on https://www.rbi.org.in/ for the benefit of all stakeholders. The RBI recruitment 2019 notification provides information on the RBI Junior Engineer Recruitment 2019. Degree in Civil Engineering with minimum 55% marks (45% for SC/ST/PWD). Degree in Electrical or Electrical and Electronic Engineering with minimum 55% marks (45% for SC/ST/PWD). Experience Requirement: Minimum of 02 years for Diploma / minimum of at least 01 year for Degree holders. Minimum age of 20 and Maximum age of 20 as on January 1, 2019. Born not earlier than 02/01/1989 and not later than 01/01/1999 are eligible to apply for the examination. The qualifying days are inclusive of the stated days. The most essential aspect for exam takers are the details pertaining to the RBI Junior Engineer Recruitment 2019 of the concerned examination. In promotion of our enthusiasm for the scholastics of student and knowing the need of student to be made mindful ahead of schedule of the examination Details pertaining to the RBI Junior Engineer Recruitment 2019, to plan their future in a satisfactory manner, https://www.rbi.org.in/ will make accessible to every single invested individual the RBI Junior Engineer Recruitment 2019, all and any selection process related details including the RBI JE Exam Pattern. The mode of application for the RBI Junior Engineer Recruitment 2019 is through online application mode. At the point when the Concerned authority and the board releases the RBI Junior Engineer Recruitment 2019, a quick glimpse into the same will be given by https://www.rbi.org.in/ to the large number of candidates appearing for the examination and to guarantee that there are no difficulties in downloading the RBI Junior Engineer Recruitment 2019 details. On the off chance that you’re wanting to get the details remotely, or in an issue free, straightforward way, by then bookmark https://www.rbi.org.in/ for reliable updates relating to the examination. RBI Junior Engineer Recruitment 2019 details will be posted here for the benefit of all the hopefuls who are taking the examination. Remember that you need your digital photograph and signature in order to apply for the examination. The payment can be made through net banking/ credit/debit cards and challans. Online Registration https://ibpsonline.ibps.in/rbijeceoct18/basic_details.php Read “Important points to be noted” before filling in the registration form. Login Link https://ibpsonline.ibps.in/rbijeceoct18/ The candidate can also access important events and dates on this web link. By accessing the information provided here, the candidates can easily apply for and access all important information pertaining to the RBI Junior Engineer Exam. By making sure all of the information regarding the exam is easily accessible and by familiarizing oneself with the various details of the exams, candidates can ensure that their performance is stellar.